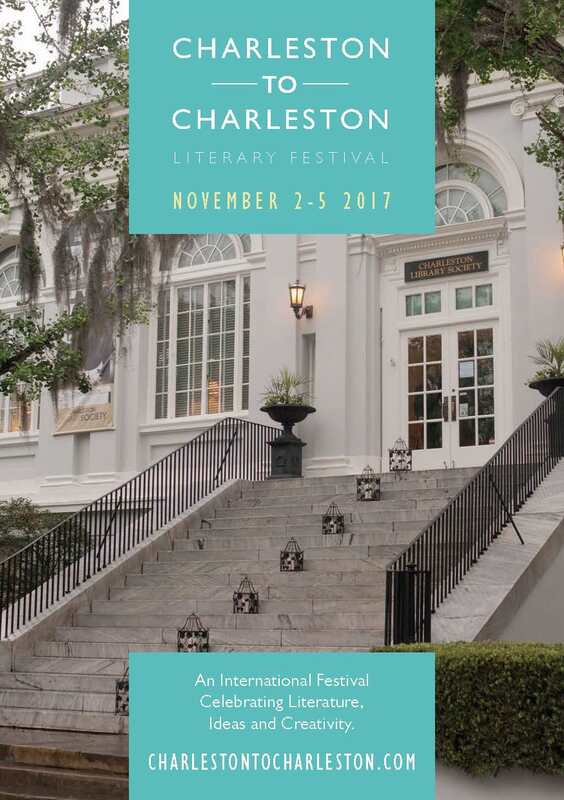 On October 27, 2017, Professor Ricard Viñas-de-Puig presented his single-authored paper “Evidence for a typology of epistemic modality in Spanish and Catalan: Restructuring clitic climbing,” and the co-authored paper (in collaboration with Dr. Stephen Fafulas, University of Mississippi) “Leísmo in monolingual and bilingual varieties of Spanish in the Peruvian Amazon” at the 2017 Hispanic Linguistics Symposium, held at Texas Tech University. The Fall 2017 LCWA World Affairs Colloquium Series will be held on November 30th. Dr. William J. Parker III will be presenting the lecture in the Wells Fargo Auditorium beginning at 4:00pm. Dr. William J Parker III is the Chief Operating Officer at the EastWest Institute, a global NGO committed to conflict prevention and resolution with offices in New York, Brussels, Moscow, Istanbul, San Francisco, Washington, D.C. and Dallas. An award-winning author, Dr. Parker has published over thirty academic articles and co-authored the book Jihadist Strategic Communication. Additionally, his 2016 book, Guaranteeing America’s Security in the Twenty-First Century, is considered a practitioners’ guide to national security. 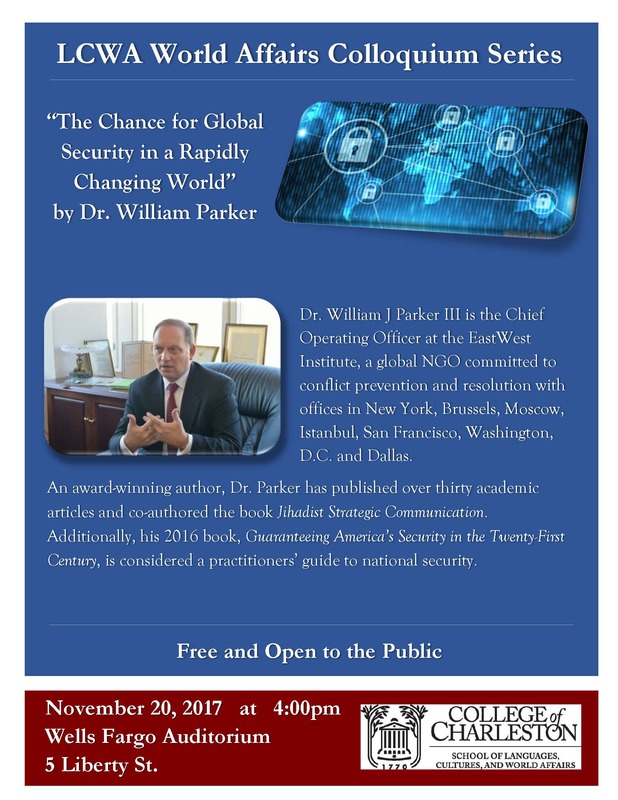 Dr. Parker is an accomplished speaker and frequent guest commentator in global media on issues of national security and the global economy. He has addressed the media in more than thirty nations, including such outlets as Fox News, National Public Radio, Al Jazeera, Patriot Radio, Voice of America and other live radio and television shows. 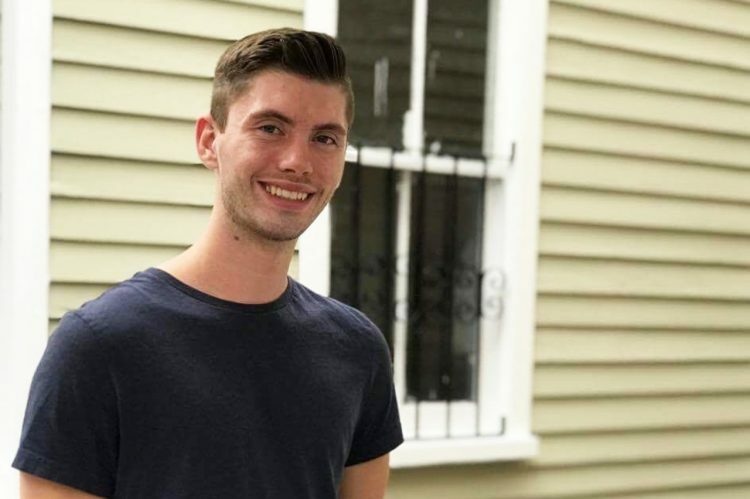 He appears in and consulted on the 2016 Discovery Channel documentary Sonic Sea, which was nominated for an Emmy Award for Best Nature Documentary. 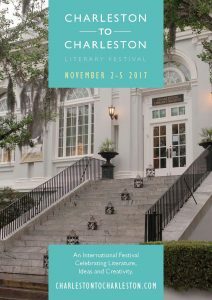 November 2-5, 2017 will be the Charleston to Charleston Literary Festival, An International Festival Celebrating Literature, Ideas and Creativity. Check out the brochure here or the website for more information on the event. Professor Joseph Weyers will present on the Day of the Dead at the Gibbes Museum of Art on November 1. Click here for more information.